According to the Standing Rules of the Florida Conference, Par. 206 2(d), “All submitted resolutions must be received by the Conference Secretary by Jan. 31 to be considered at the regular Annual Conference Event later that year.” The Florida Conference Secretary is the Rev. Dr. Ken Minton, pastor at First United Methodist Church in Zephyrhills. His e-mail address is kminton@flumc.org, phone 813-782-5645 or fax 813-782-2315. If you are considering a resolution for the 2015 Annual Conference, the Jan. 31 deadline is firm, according to Minton. 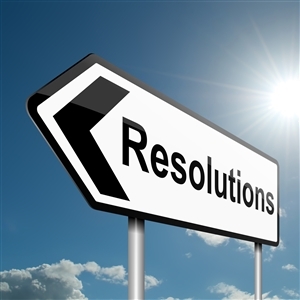 Each resolution must address only one issue if the resolution does not address the Discipline. If a resolution does affect the Discipline it must address only one paragraph of the Discipline, except that, if two or more paragraphs in the Discipline are so closely related that a change in one affects the others, the resolution may call for the amendment of those paragraphs also to make them consistent with one another. Every resolution requiring implementation will include: a. financial impact to the Conference; b. name of the implementing organization or persons; c. if communication or referral is required, will designate the person or persons responsible for the communication or referral, Minton advised. For more information on the Resolution process, see the Standing Rules of the Florida Conference, found in the printed version of the 2014 Florida Conference Journal, pages 209-241, or visit http://www.flumc.org/journal2014/04-journal_14_part_IV_StandingRules.pdf to access the Journal online.